Buttermilk is the best skin care in summer. Wonderful effect of buttermilk on your body as well as on the skin. My mother always tells me, you have to drink buttermilk on daily basis, but that time I do not know the reason. But now I know, what is the benefit will get with buttermilk. Buttermilk not only quenching your thirst but being a dairy product, also gives wonderful health and beauty benefits. Buttermilk works on the skin as a natural agent. It helps to reduce the dark spots and tanned patches on the skin. It contains large amounts of lactic acid (An Alpha Hydroxyl Acid ) which helps in brighten and soften skin. You have to take orange peel, grind it dry. Mix it with buttermilk to make a paste. Massage this paste very gently on your skin. Leave it for 30 minutes, and wash it off with cold water. Do it on regular basis. Definitely, you will identify changes in your skin within a month. Buttermilk gives you natural and soothing effect on your skin. It is a natural lotion for skin care. It also works on sunburn. To more effect follow the below remedy. You have to add tomato juice with buttermilk. Apply this mixture on affected skin area. Through this mixture will get vitamins A and C, which helps in skin healing in the better way. You will feel cool and get relief from painful burn sting. When you mix hone y with the buttermilk, it gives amazing effects on the skin. That is why it called anti-aging. Buttermilk moisturizes and lightens the skin and exfoliates the skin. Honey acts on the skin as a cleanser. Once the honey cleanses the skin, buttermilk plays his role, it restores the glow and rectifies the imperfections of the skin. If you are facing a problem of oily skin, you can a tablespoon of lemon juice in this mixture. If you are facing a problem of extremely brittle, dry and badly damaged hair in hot summers. Buttermilk is a very good remedy for conditioning of the damaged hair. Mix banana and 2 teaspoon honey in a cup of buttermilk. This mixture is applied as a mask on your hair and scalp. Leave it for 45 minutes and then wash it off. You will get softer hair. Drinking buttermilk means you would get less hungry and feel full for a longer period. Buttermilk is also lower in fat and calories compared to milk and curd. Less intake also helps in weight loss. Buttermilk is very easy to digest and helps to digest another nutrient, which you are getting from food. Adding to the regular diet helps to reduce control weight gain. Buttermilk helps to wash out the fats, oil or ghee, which is coated inner lining of the blood vessels. Indirectly it prevents the heart attack. In summer people more prefer to add buttermilk in their diet because it has a property to cool down your extra body temperature. It works as a natural refresher in summer. Pre and postmenopausal women suffer from hot flushes. They can get relief with the buttermilk. They will get at least temporary relief from the hot flashes. Buttermilk helps in regulate acidity. It has natural probiotic, which helps in better digestion. It also helps to prevent heartburn, bloating of the stomach. For better effect, you have to add buttermilk in regular diet. Buttermilk to be made with cool and water down a card, this drink is perfect to soothe the stomach. 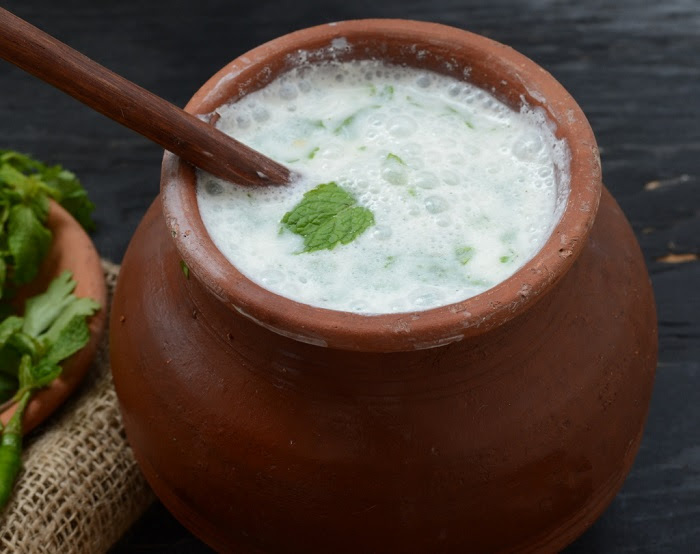 Drinking cool buttermilk tends to wash down the spices and other harmful substance, which generate into the stomach. Buttermilk prevents the acidity and also fights harmful pathogens and bacteria, which enters into the body through various external ways. Buttermilk has probiotic properties which help in the digestive system. Buttermilk also fights from the common colds, infections. Buttermilk feels soothing in the stomach, which gives the relief during summer. Buttermilk contains curd, water salt, and spices, all mixed to make a delicious drink. It has more electrolytes and lots of water, which fights against dehydration. You have to drink buttermilk on daily basis, which gives to better effect. 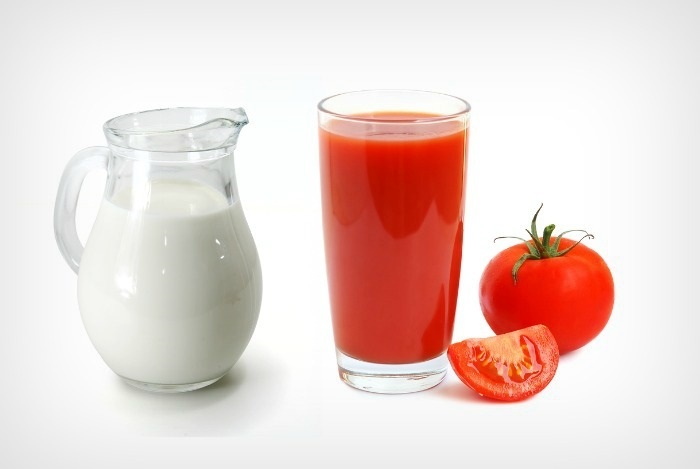 Most of the people do not like milk or they are intolerant lactose. They are lacking in natural loading calcium. These people can have the buttermilk without causing an adverse reaction. This is a perfect way to get the calcium, people who are intolerant lactose. Nutrition Journal (1) has published one study related to the reduction of blood pressure. It is found that Milk Fat Globule Membrane (MFGM) found in buttermilk. This is very rich in unique bioactive protein. This protein has cholesterol-lowering, antiviral antibacterial, and anti-cancerous properties. This study proved buttermilk helps to reduce the blood pressure if you are having on a daily basis.